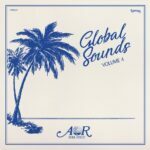 Favorite Recordings and Charles Maurice proudly present the 4th edition of the AOR Global Sounds compilations series: 14 rare and hidden tracks, produced between 1977 and 1986 in various parts of the world. Started in 2015, the AOR Global Sounds series was born from the will of Charles Maurice (aka Pascal Rioux) to share his longtime love for the AOR and WestCoast movement and highlight its influence for many artists in the late 70s and early 80s. In this 4th volume, he selected again highly forgotten productions, deeply infused with Disco and Soul flavors. Half of the compilation’s tracklist is naturally coming from the US, homeland of this music style, but the other half is made of productions from all over the globe, from France, Belgium, Italy, to Mexico. And for most of these beautiful songs, it came from artists and bands rather unknown and often released as private press. As an example, “Come Back” is the result of a music talent competition won by a student band named Parenthèse, gaining a full recording session in a professional studio and the production of a limited promotional 7inch vinyl, which still completely obscure til now. “Mellow Out” comes from the only album by Pacific Dreams, which was fully self-produced and released by its leader Tommy Sweet. Fernando Toussaint, however having quite a solid career and discography as a drummer and with his brother forming the Mexican Jazz-Funk band Sacbé, had solely one solo album released in very limited quantities on Discos Alebrije, a label directed by Alain Derbez. As for “Never Was Love” by Russ Long, despite becoming quite famous when recorded and sang by Judy Roberts, it’s still surprisingly undiscovered in its original version, taken from Russ’ beautiful album from 1982, Long On Jazz In Kansas City. And we could detail stories like this for each of the titles included in AOR Global Sounds Vol.4, but our guessing is the best way to learn more about all these gems is to listen to it, fully remastered from originals, and whether your preference is for vinyl or CD formats.